Sir Robin sits in the Commercial Court, the Administrative Court, and the Court of Appeal Criminal Division. He is the Judge responsible for interim applications in the Queen’s Bench Division. Before appointment to the High Court, he sat as a Recorder in the Crown Court for 15 years, and as a Deputy High Court Judge in both the Commercial Court and the Chancery Division. He is a qualified mediator and has sat as an arbitrator. He was elected a Bencher of Middle Temple in 2004 and was Chairman of the Commercial Bar Association (2005-7). Sir Robin was involved in rewriting the Commercial Court Guide as part of the Woolf Reforms. He was a member of the Aikens working party on “supercases”. With Sir William Blair, he worked successfully to secure the new Queen’s Counsel system. With others, he led work to bring about the Rolls Building – the world’s largest dedicated business dispute resolution centre. He is a member of the Financial Markets Law Committee, and of the Law and Ethics in Finance Project led by Sir William Blair. He is Chairman of the International Committee of the Judicial College of England & Wales. A member of the Civil Justice Council, Sir Robin chairs its continuing work on access to justice for those without means. Within the HMCTS Reform Programme he chairs the Litigants in Person Engagement Group (LIPEG). He has a career-long involvement in the encouragement and coordination of legal pro bono work, nationally and internationally, and is on the board of a number of charities in the field, including the Bar Pro Bono Unit and the National Pro Bono Centre. 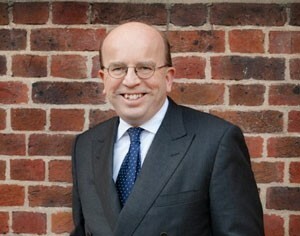 He was awarded the CBE in 2007 for service to pro bono legal services. Outside the law, Sir Robin has been closely involved with children’s hospices and children’s palliative care, and is a former Chairman of the UK umbrella body in this field.